International Womens Day is just around the corner, and to celebrate, we're taking over a bunch of cool cafes and raising money for our favourite charity. Floozy has a pretty simple mission statement: empower women in coffee and support women in need. 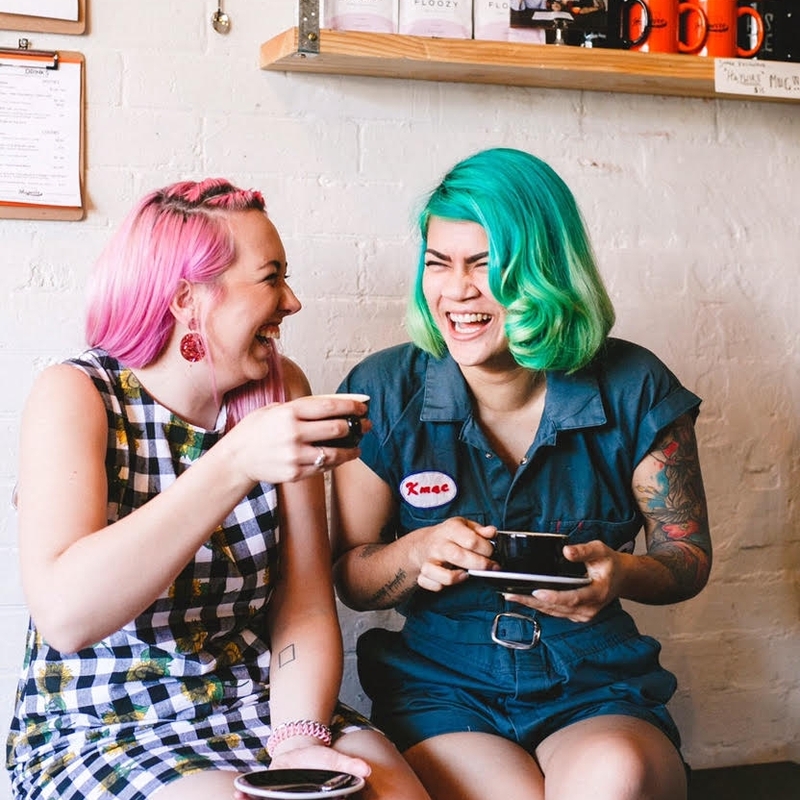 So for International Womens Day (Thurs March 8), some of our favourite cafes in Australia, Canada and Europe are going to swap out their regular beans and serve Floozy all damn day to celebrate chicks who roast coffee (coz there aren't that many of us). It's also a celebration of all the amazing women who make the coffee industry so special: the growers, the merchants, the cafe owners, the baristas, the list goes on! The best part is that for every wholesale kilo we sell, we'll donate $5 to our favourite charity, The Rough Period, who help chicks sleeping rough get access to pads and tampons and other good things. If you're a cafe owner and you want to get on board, it's not too late. International orders must be finalised by February 20, but if you live in Australia, you've got til February 27. Feel free to share this with your favourite barista tomorrow morning! And also like everyone you know.